Now that I'm past my due date (arghhhhhhh! 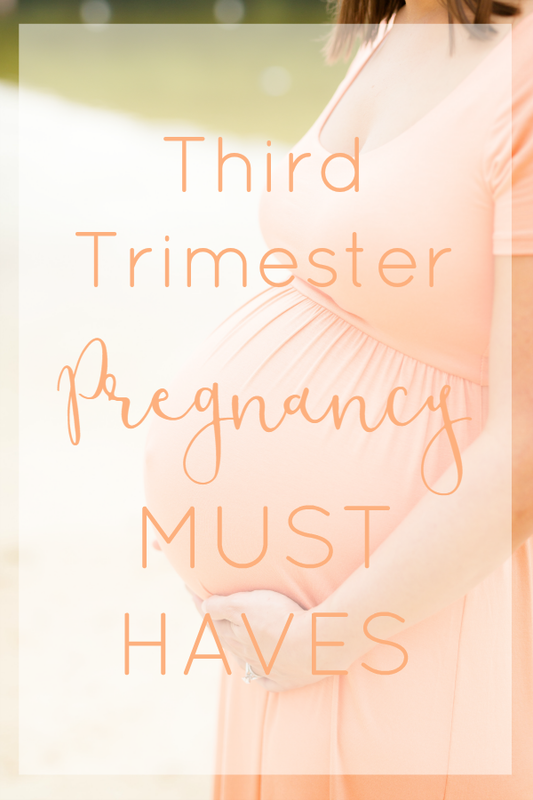 ), I thought I would share some things that were helpful for me in the third trimester!!! I can't believe I'm already at the end! Pregnancy absolutely flew by!!!! And now the little man will be here any day now (hopefully sooner rather than later! Come on, baby!). I don't have as many items to share this trimester because many of my first trimester and second trimester must haves were also beneficial during the third trimester, but there are definitely a few things that are new or that became extra important as I neared the end.-A duffle bag. It's time to get packing for the hospital! I have tons of cute tote bags and of course some luggage, but I needed something practical to pack for the hospital. Something not too big, not too small, and preferably that could zip and was easy to carry. I found a cute navy blue duffle bag at Target that is perfect for the job, but I can't seem to find a link or picture, so here is a similar duffle bag*! 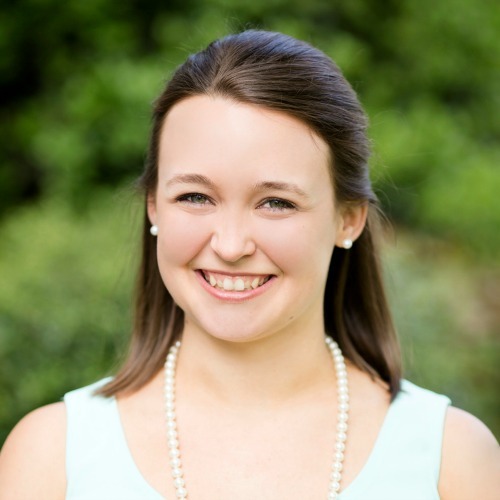 Also, check out my tips on what to pack for the hospital! -Comfortable stretchy shoes. Speaking of comfort... the farther along I got, the more my feet became a problem. Not only were they sore from carrying around all the extra weight, but they also got more and more swollen each day. By the time I got to the last few weeks, I could barely get my shoes on (and definitely not without assistance!)! So my hubby and I went out and tried on slip on shoes that would stretch to accommodate my giant feet. They don't have to be anything great; remember you only have to wear them for a few weeks! I found these super affordable Roxy shoes at DSW. -Compression socks. Like I said, my feet got more and more puffy each day. I never thought I would end up with swollen feet, but they were like balloons by the end!!! In my 39th week, I finally caved in and ordered these circulation socks by Dr. Scholls*. It really made a huge difference and I so wish I had ordered them sooner!!! -Red Raspberry Leaf Tea. I've mentioned this before, but red raspberry leaf tea* is great for pregnancy! It brings on Braxton Hicks contractions. The idea is that it tones the uterus by giving it a little extra workout and therefore helps it do a more efficient job during labor once the real contractions start. Do your own research here and of course talk to your OB or midwife, but I fully believe in it! My midwife recommends drinking two cups a day, and it definitely has brought on more Braxton Hicks for me! -Evening Primrose Oil capsules. This shouldn't be started until after 37 weeks, but it helps to ripen your cervix. Evening primrose oil* does not induce labor; it just helps to soften your cervix which will hopefully help to avoid induction later on. Again, do your own research and discuss with your doctor. My midwife recommends 1500-2000 mg per day. -Bio Oil. I seriously thought I had miraculously made it through pregnancy with no stretch marks on my belly. Then came 38 weeks... I happened to look in the mirror and thought, "What the hell is that?!" Sure enough, one big angry red line was extending straight down from belly button! Over the past two weeks, that one little line has sprouted a few new lines as well. I kept my bump moisturized with Palmer's Cocoa Butter* all pregnancy and made it almost to the end with no stretch marks, but as soon as the baby dropped causing the skin on my lower abdomen to stretch even more, the evidence arrived. Now I am using Bio Oil* to hopefully help the new marks fade quickly. Although they will never go away completely, there are definitely products that can help them fade!